Combine your rewards from Gold Status or Silver Status with rewards from everyday activities like shopping and dining. New Fuel Rewards members will receive instant Gold Status for the first 6 full calendar months of their membership. For example, if you join on January 1, 2018, you will receive Gold Status through July 31, 2018. Fuel Rewards members who joined prior to June 5, 2017 received instant Gold Status through December 31, 2017. Their initial qualification period was October 1, 2017 - December 31, 2017. Does my 5¢/gal reward for having Gold Status combine with other rewards I earn in the Fuel Rewards program? Yes, your 5¢/gal reward from Gold Status will stack with other rewards you’ve earned in the Fuel Rewards program. I currently have Silver Status. How do I get back to Gold? As soon as you make 6 fill-ups during your 3-month qualification period, you will instantly regain your Gold Status and will begin saving 5¢/gal on every fill. You will keep your Gold Status for the remainder of your qualification period, as well as the next 3-month period. Check the homepage of our website or download the Fuel Rewards app to determine when your qualification period ends and track your progress towards regaining Gold Status. Text GOLD to 83835 to download the app and join the Fuel Rewards program. Message & data rates may apply. The mobile carriers are not liable for delayed or undelivered messages. Restrictions apply. To receive the Gold/Silver Status offers, you must be a Fuel Rewards® member and swipe your Fuel Rewards® card or enter your Alt ID when you fuel at a participating Shell station. With Gold Status, you will receive 5¢/gal in Fuel Rewards® savings on every fill-up. The 5¢/gal reward for Gold Status will be combined with other rewards in your Fuel Rewards® account. With Silver Status, you will receive 3¢/gal in Fuel Rewards® savings. The 3¢/gal reward for Silver Status will be combined with other rewards in your Fuel Rewards® account. If you are a new Fuel Rewards® member who registered on or after July 1, 2017, you will receive introductory Gold Status for the initial month you join the Fuel Rewards® program through the last day of the month, 6 full calendar months later, the “New Member Introductory Period”. The last 3 months of the New Member Introductory Period is your first Qualification Period (as defined below). If you are an existing Fuel Rewards® member who registered before July 1, 2017, your Qualification Period was between October 1, 2017 and December 31, 2017. To maintain your Gold Status, you must make 6 qualifying fuel purchases in your applicable 3 month qualification period (“Qualification Period”). You will be able to determine your Qualification Period and track your qualifying fuel purchases at fuelrewards.com. A qualifying fuel purchase is any fuel purchase at a participating Shell station in which you swipe your Fuel Rewards® card or enter your Alt ID and fill up with at least 5-gallons of any grade of fuel. Once you qualify, you will receive Gold Status for the remaining portion of your Qualification Period plus the next 3 months (the “Benefit Period”). During the Benefit Period, you must continue to make 6 qualifying fuel purchases to maintain your Gold Status for the next 3-month Benefit Period. For example, if you are a new Fuel Rewards® member and register on 1/9/18, you will receive Gold Status through the New Member Introductory Period (i.e., 7/31/18). You will need to fill up with at least 5 gallons of fuel at least 6 times during the Qualification Period (i.e., 5/1/18 through 7/31/18) to maintain Gold Status during the Benefit Period (i.e., from 8/1/18 to 10/31/18). Thereafter, if you continue to fill up with at least 5 gallons of fuel at least 6 times during the successive 3 consecutive month Benefit Periods, you will maintain your Gold Status. If you do not maintain your Gold Status, you will receive Silver Status. Redeem Fuel Rewards® savings with your Fuel Rewards® card or Alt ID at participating Shell stations. Fuel Rewards® savings are limited to 20 gallons of fuel per purchase, per vehicle, or fraud limits placed by Shell and/or limits placed on your financial card by your financial institution, each of which may be lower. Fuel Rewards® savings must be redeemed in a single transaction. Once you begin to dispense fuel using your Fuel Rewards® savings, you must dispense to the 20-gallon limit or you forfeit any remaining discounted gallons of fuel. For example, if you only pump fifteen (15) gallons of fuel, you would abandon the remaining five (5) gallons of discounted fuel. If you have a rewards balance greater than the current per-gallon price of fuel, the price will roll down to the maximum capability of the fuel equipment, and your remaining rewards will be saved for a future fuel purchase. Dispenser may require a price of up to 10.9¢/gal. It may not be possible to combine multiple discounts and/or rewards in a single transaction. For purchases of $75 or more, please go inside to pay. Unbranded diesel and alternative fuels may not be eligible. The Fuel Rewards® program is owned and operated by Excentus Corporation. Offer may be modified or discontinued at any time without notice. Not valid where prohibited by law. 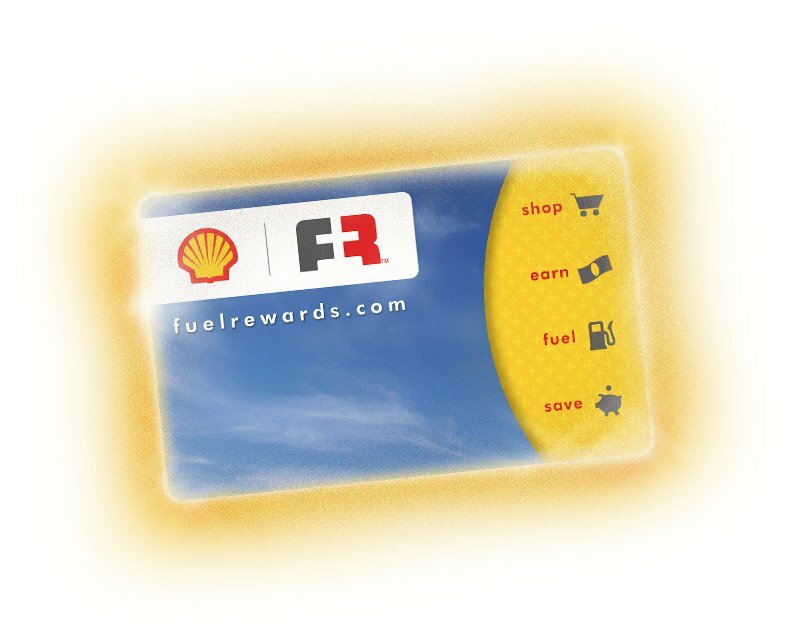 Please see fuelrewards.com for complete Fuel Rewards® program details and Terms and Conditions. Other restrictions may apply. Apple and the Apple logo are trademarks of Apple Inc., registered in the U.S. and other countries. App Store is a service mark of Apple Inc. Google Play is a trademark of Google Inc. All trademarks are the property of their respective owners. To learn more, visit fuelrewards.com/gold or call (888) 603-0473.